This durable first-aid kit allows you to see the product you need right away, which greatly reduces time wasted searching for products. This empty first aid kit measures 11.5"x 6.5"x 4". This is the bag the we use for the WCB Basic First-Aid kit. small and large multi-compartmental pouches for holding instruments and various other products. 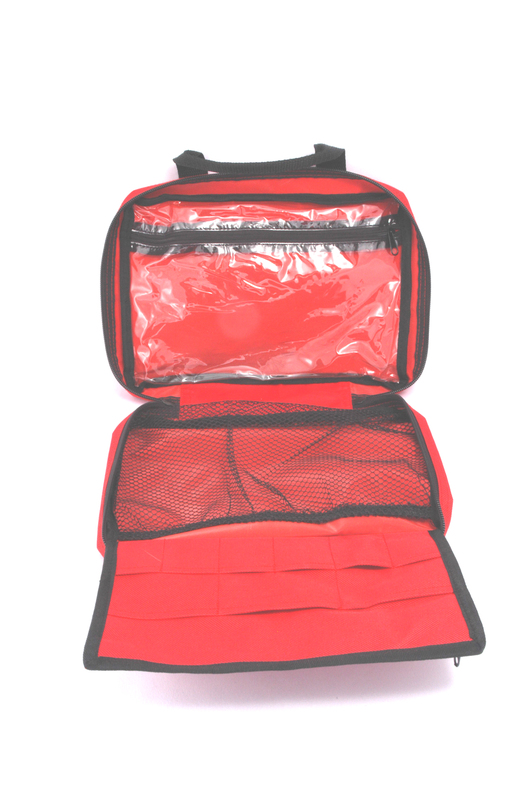 constructed with light weight PVC coated nylon with waterproof backing.